Massachusetts Oyster Project: Ten Year Update on Oysters in Boston Harbor - Success! Ten Year Update on Oysters in Boston Harbor - Success! 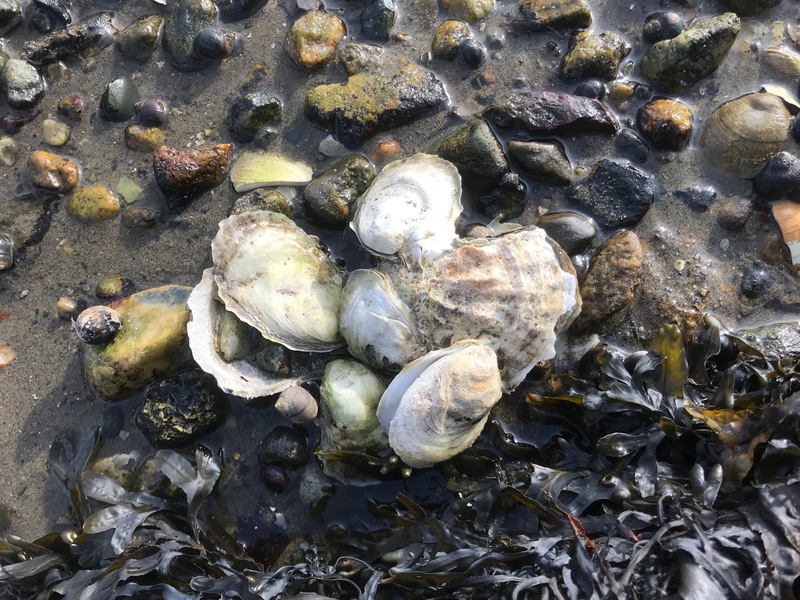 Ten years ago a small group of people decided that they could help improve Massachusetts estuaries, starting with the small goal of restoring oysters back in Boston Harbor where they had not been present for at least 50 years. This was the beginnings of the Mass Oyster Project. We did not know then how it would work out. But, with help from the Division of Marine Fisheries and City Government we placed 140,000 seed oysters purchased from Island Creek at the mouth of the Charles River with great fanfare. Our volunteer divers revisited the site in the spring. The oysters survived the winter, but we saw extensive predation over the ensuing year as crabs found them delicious. Over the subsequent two years, we were permitted to place more oysters, which we did; trying them in various containers, water depths, bottom substrates, etc. Initially, we were pleased just to see them survive as it became possible to drop in and visit them from year to year. Then, it was exciting to see signs of reproduction- that is small oysters that were firmly attached to rocks and other objects on the bottom. Oysters don't move. They only bind themselves to something as infants. So seeing small ones attached to native rocks meant that there was reproduction. After three years we were finally beginning to see results! After about 5 years, we were visiting a site a good distance from our initial oyster placements with a film-maker to see what we could find. We were amazed to see quite a few oysters some 1-2 years old. Each subsequent year, it seems that the number of oysters has grown. Recently, we visited a site and instead of looking for individual oysters, we began looking for clusters. 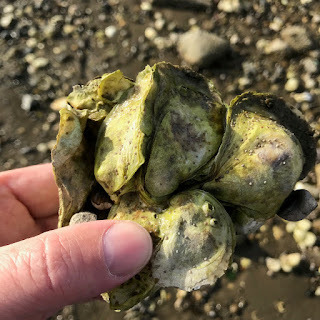 Since free floating baby oysters prefer to set on oyster shell for their lifetime homes we were delighted to see a number of clusters. These are the beginnings of oyster reefs. Interestingly, most of the oysters we see are on the small side. Perhaps this will change over time. There still is a huge untapped opportunity to renew and expand this effort. But, for now, it appears that the small initial program has generated long-term results and an expanding population. It will be interesting to see over the coming years, if this trend continues and if we see a measurable impact on water quality. There are many people who made this possible including Mike Hickey of the DMF who was instrumental in granting our initial permit, Marianne Connolly of the MWRA who guided us through the City's Conservation Commission, Jim Hunt from the City of Boston, as well as the hundreds of volunteers and supporters who moved the project along. I learned about this project through an NPR episode. Thank you for the update. Is there a way to spread this effort over to the old harbor (Carson Beach) area?